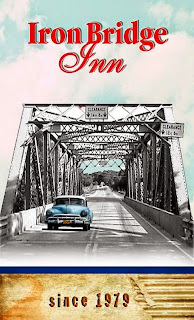 Days of Whine and Rosé: Life In An Autism Household : Autism Moms Unite at The Iron Bridge Inn! One of the overnight stops on the drive home from Florida with My Handsome Man was Mercer PA. A wonderful town. Our hotel was well appointed, but we thought we`d try a local restaurant for dinner. 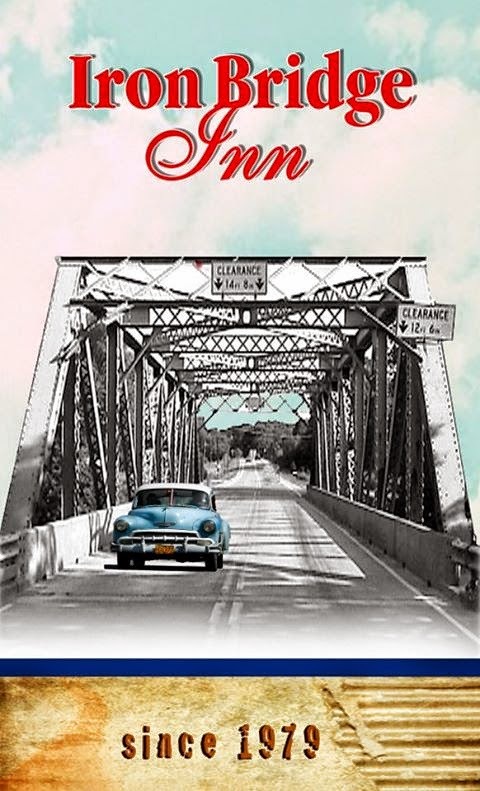 The concierge had some great recommendations and we settled on Iron Bridge Inn, located oddly enough beside a beautiful Iron Bridge spanning a quaint little river. We found a wonderful booth, completely surrounded by warm oak, almost as if we were in our own separate dining room. Its was kitcshy and romantic all at the same time. Our waitress arrived with our menus, and took our drink orders. I as usual had wine (hence days of Whine and Rosè! 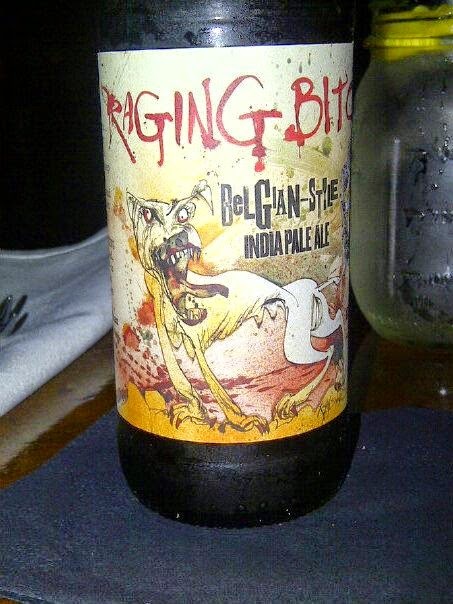 ), while handsome man ordered the best named beer EVER! We finally decided on our meals and I swear the plates were so full of delicious food that our waitress must have needed a weightlifting belt! She was attentive, but never hovered, and extremely sweet. Handsome Man and I were enjoying our time together, in no rush at all, so it was nice to not be pestered! At one point our waitress came over and said she'd be taking a short break, got us another round and promised to check on us in 15minutes. Well she was back in less than 5! Handsome man teased her that she took the fastest 15 minute break ever. Our waitress explained that she had just needed to make a quick call home to check on her kids. She was a young single mom of two boys. And then, without knowing why, she started to tell us that one of her sons was autistic, and even though she had a great sitter for him, she still needed to keep contact to make sure things were going okay. Well, poor Handsome Man entertained himself while Brittany (yes she has a name!) and I traded autism war stories for what seemed like an hour. Brittany had recently started a business from home Unique Creations234 producing etched glass Autism Puzzle Piece charms (a puzzle piece, rainbow colours, and the colour blue are the official Autism symbols) and selling them to raise money to pay for her son's treatment and special diet. She happened to have some on hand, so she brought them out to show us. They were all lovely but nothing was 'speaking' to me. As we were chatting, Brittany showed me the one she was wearing, the one she had 'messed up'. It was an autism puzzle piece with a music note in the centre. She had 'messed up' because the music note was backwards. I was speechless. ALMOST! Anyone who knows me knows how important music is to me. However, not many know how important it was for Eric, my 19 year old with autism. When he was diagnosed 16 years ago, there were no services. So I trained in order to provide therapy to him myself. I was told he would never talk, but I noticed he REALLY paid attention when you sang. One of the main things to remember when teaching an autistic person something new is to do it backwards. Start at the last (and therefore most predictable) step. So I taught Eric to speak by using music, backwards. Brittany's 'mistake' was my son's breakthrough. When I told her this story, she took her necklace off and insisted I have the charm. Handsome Man insisted harder that she accept payment for it and he can be very persuasive! That day in Mercer PA I made a new friend, cried some more happy tears, and marveled at how this wonderful world could throw just the right people together at just the right time.